SR: Bill, you grew up in Esher and had trials with Arsenal and West Ham but it was Portsmouth that you signed for in April 1958. BW: That’s correct – they were then a very big club, sprinkled with a lot of international players. SR: And whilst you were there you won eight caps for the England U18’s. BW: Yes, and the team included a number of players who went on to become household names; Martin Peters, Terry Venables, David Wagstaffe and Gordon West to mention a few. SR: You signed for QPR in July 1961, how did that come about Bill? BW: I was given a free transfer at Portsmouth when they cleared the decks down there and QPR’s Chief Scout, I think his name was Stan Berry, came to see me, took me to Loftus Road and the Secretary John Smith made me an offer. SR: After a last-minute injury to Tony Ingham you made your 1st team league debut at Loftus Road against Bournemouth on 16th September in a 1-1 draw, a few weeks after your 19th birthday. You had a good game by all accounts, what memories do you have of that match and had you been involved in any of the pre-season friendlies against Aldershot and Brighton? BW: Yes I do remember that debut – but mainly because of what seemed a huge crowd – and doing a bit of research there were 12,946 there. I cannot remember playing in any pre-season matches, although I suppose I must have done. BW: That I cannot remember – I should have done because it would now appear that I did in fact score two rockets with my left foot over my career. The other was in a Southern League game very late in my career at Folkestone. I never scored a great deal of goals. SR: In the penultimate match of the 61/62 season you played in the 5-0 win at Lincoln City. Mark Lazarus and Jim Towers both scored a couple and John Collins got the other one. Do you recall that game Bill? BW: Sorry I just cannot remember that game at all – although later in my managerial career I remember going to Lincoln many times. SR: What about Jimmy Andrews’ role at the club? BW: Jimmy was the first team coach and well ahead of his time. Came from the old West Ham Coaching Academy and had complete control of all the training, coaching and tactics – well that’s how it always appeared. A really top class man and coach. SR: I saw Mark Lazarus play many times and I had the pleasure of interviewing him some years ago – a great character and you must have a few stories? BW: There are many stories to tell about Mark – but the funniest one for me was when I saw QPR play Halifax at home – I must have been dropped! And their left-back was kicking Mark all over the place and I can remember his surname – it was Roscoe. When suddenly an older woman appeared out of the stand and starting belting Roscoe with her umbrella. So embarrassing for Mark – it was his dear old Mum sticking up for her little boy! SR: Who were the other characters at the club Bill? BW: So many different great characters and I think that when you are young, like I was at the time, they appear even larger. But my personal favourites were Stuart Leary, Tony Ingham, Roy Bentley and Arthur Longbottom. I was eighteen and Roy and Tony were about thirty-eight years old – and the two quickest at the club over short distances and both took me under their wing a bit. SR: How did you get on with Alec Stock? You mention a great story in your book when at half-time on one occasion he ordered the players to kneel down, hold hands and pray! BW: I got on very well with Alec and kept in touch with him until very late in his life. He was certainly a different type of football manager and being an ex-army officer he would come out with many gems over the years. The praying was because we were playing so badly and he asked for help: ‚ÄúAs not one of us knew what we were doing‚Äù – quote. SR: I read in one of the Rangers programmes that you were a member of a local ‚Äúrock‚Äù group. Who were they and did the band get to play in the West London area? BW: Not quite true – I started playing the guitar at a very young age and played in a couple of the old skiffle groups. But that was about my claim to fame in music – definitely no big rock groups. SR: Did you get to socialise very much in any of the local pubs and clubs Bill? BW: Not very much as I have never been a great drinker. And I had the bad experience of on the day I got my signing-on fee I went out somewhere in the West End where a small group of yobs decided to mug me for whatever I had just picked up! 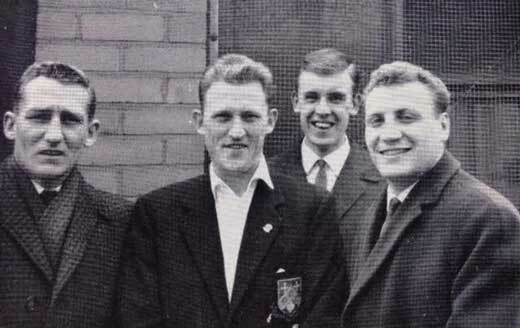 SR: In goal around this time were Ray Drinkwater, who then lost his place to Frank Smith, and at the end of the 62/63 season a young Peter Springett was introduced. I read in a match programme from that period that Ray Drinkwater used to often throw the ball to a team-mate rather than boot it upfield. What was it like playing in front of them? BW: It is really hard to remember a lot of the games. But what I do know is that all the goalkeepers at QPR when I was there, Ray Drinkwater, Frank Smith and Ron Springett (who used to train with us) all thought they could play and cost us a few goals with their tricky footwork over the years. SR: A mate of mine bumps into Peter Baker from time to time. He briefly took over the No. 2 shirt and you alternated between left and right back, you even played at centre-half on some occasions. Did you have a favourite position Bill? BW: Much preferred centre-half and eventually got a move to West Brom in that position and played the rest of my career as a number 5. SR: The move back to the White City Stadium in 1962 once again proved to be unpopular and I can remember being too far from the pitch and the lack of atmosphere. The opening match was rained off and later there was the disruption of the ‘Big Freeze’. The facilities must have been superb but what was it like playing there Bill? BW: I can remember playing at the White City and yes it was so adrift to Loftus Road. Crowd miles away and absolutely no atmosphere – and a very sticky playing surface as I recall. SR: That ‘Big Freeze’ of 1962/63 caused major disruption to the country and to the football calendar of course. In fact from the 22nd December Rangers only played four matches until the home game with Bournemouth on 2nd March. This also resulted in 11 games being squeezed into April, but despite the conditions you still must have somehow trained regularly during this period? BW: From memory we trained wherever we could. That was a terrible time in football because not only the pitches but everywhere else was brought to a halt. SR: What caused that huge fight at Northampton and the subsequent pitch invasion Bill? I also read in your book that the return match was also a bit lively! BW: It was an accumulation of things – promotion game if I recall and a number of Northampton players just kicking lumps off our players. The invasion was frightening – impossible to move, there were so many on the pitch. A lot of players took a lot of punches that day. In the return match a couple of their fans jumped the fence at White City and got a few clips from the players. There was no trouble between the players. SR: I take it that you didn’t live locally as I read in your book that Stuart Leary used to give you a lift until you purchased your first car for a tenner, a Vauxhall 10. BW: Yes I lived in Esher and until I got my own wonderful Vauxhall I used to get lifts from Frank Smith and Stuart Leary. If not, I used to come in to Shepherd’s Bush on the Green Line bus. SR: What about the afternoon an entourage from ‘Queen’ magazine turned up at Loftus Road Bill? BW: Yes a picture shoot with their lovely leggy models and us in our blue and white hoops. The rest you can read in the book! SR: You also mentioned in your book about the time you shared a bath with Sean Connery! That must have been after Alec Farmer’s testimonial match at the end of the 62/63 season? An International X1 took on a Showbiz side, with other names mentioned such as Harry Fowler, David Frost and Des O’Connor!!! What else can you tell me about that night Bill? BW: All I can remember about the game is that about 16,000 turned up and we had that awful job of getting off the field once again. And afterwards we all jumped in the bath together and a very young Sean Connery had shown up unannounced for the match. And we all shared what was a communal bath in those days. And just for the record he wasn’t a bad player either! SR: After making 48 appearances for the R’s, West Brom came in for you and soon after you got married. BW: That’s right, I think it was a good move for both QPR and me. We both needed a bit of extra money at the time. Jill and I were about to be married anyway and a lot of the Rangers players came along. Then the first big move away from home for both of us and straight into a club house previously occupied by Bobby Robson and Maurice Setters. SR: What about you time at the Hawthorns Bill? BW: We had a good experience there as a family as we had our baby born in Dudley Hospital. Sadly the football didn’t go too well and I only made one first team appearance, spent most of my time in the reserves, but made many lifetime friends. SR: I know that in 1967 you played for Mansfield in a 0-0 draw at Loftus Road but were you involved in the 7-1 away win for the R’s the previous September? BW: No, but I remember seeing the game. Not sure where my loyalties would have been that afternoon! SR: You finished your playing career in South Africa – did you ever meet Stuart Leary again whilst you were out there? BW: No I never met Stuart in South Africa, but I did see him play a lot of cricket over here. It was a massive loss when we lost him! SR: Do you ever come across any of your old QPR team-mates Bill? BW: The only ex-player that I have bumped into and then made contact with was Mark Lazarus. We had a long chat and he is the only ex-player I have ever spoken to. SR: Your managerial career saw you take charge in South Africa, America and here at Dover Athletic, Kingstonian, Welling United and Maidstone. You’re still involved with Maidstone United, a club that rose from the ashes and still close to your heart Bill. BW: Yes very much so. I’ve had so many good experiences here and now it is wonderful to see the stadium developing and the club moving back up the leagues. It’s a great little club. SR: I love that quote you use in your book: ‚ÄúSometimes you have to look back to see just how far you’ve come.‚Äù Bill, many thanks for your time and your wonderful autobiography: ‘Believe It Or Not’. Brilliant Q&A Steve. Lots of anecdotes there that I was never previously aware. Always in the pen pictures of away match programmes in those days the opening lines about Bill Williams would read 6ft 2 guitar strumming giant.. In my opinion I thought Bill was better at Full Back than Centre Half. He did not have any real opportunity to star at the White City because the overall team performance from Feb 63 onwards went downhill at a rapid rate of knots! 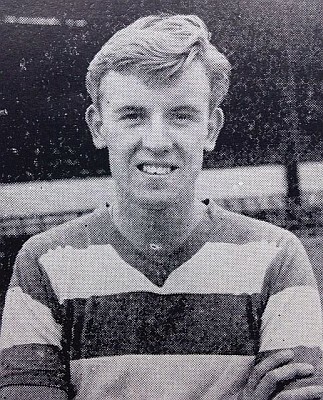 I do recall the time when he played centre half at Loftus Rd for Mansfield against the R’s in 1967.He had a good game that day and was largely responsible for the 0-0 score line.